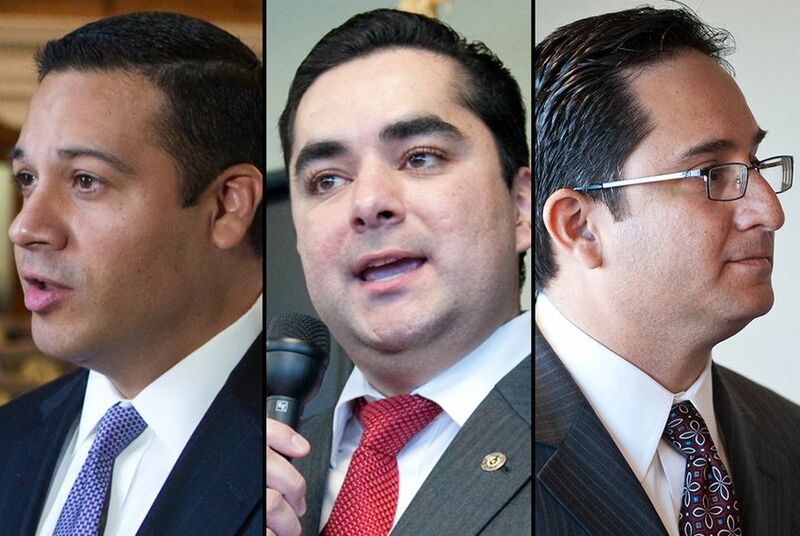 Following the 2012 elections and a party switch by Lozano, there are now three Hispanic Republican House members. There are seven Hispanic Democrats in the state Senate but no Hispanic Republicans. On the Democratic side, there are 30 Hispanic House members, and most are running unopposed this election cycle. At least four of the five Hispanic Democrats who picked up primary challengers will face opponents in March who are also Hispanic, including state Rep. Naomi Gonzalez of El Paso, who is up against two Hispanic primary challengers. Texas Democratic Party spokesman Emmanuel Garcia said it’s not surprising that more Hispanics put their names on Democratic ballots, because the party better represents the Latino community. Garcia cited the GOP’s platform — which calls for the repeal of the Voting Rights Act, the top 10 percent law and federal early childhood development programs — in explaining why Hispanic Democratic candidates outnumber Hispanic Republicans. Zapata has said that the party's values, including its stance on economic issues and a less intrusive government, resonate with the Hispanic community and are part of the basis of its engagement efforts. But De Leon also said that if the GOP had a “real presence” in the Hispanic community, Hispanic Republicans would challenge one another for the same position in the primaries. De Leon used the current race for lieutenant governor — in which four white Republican candidates are competing in the primary election — as an example of a matchup Hispanic Republicans don’t typically find themselves in. The winner will face Sen. Leticia Van de Putte, D-San Antonio, in the general election. “Ideally, that’s where you’d want to be,” De Leon said, adding that the GOP must continue to make progress in attracting new candidates and voters to the party by toning down rhetoric “that’s not particularly welcoming” to Hispanics. The House District 117 race in San Antonio is the only contest with two Hispanic Republican candidates. Republican Rick Galindo and former state Rep. John V. Garza are both campaigning for the nomination to try to take the district from Democratic incumbent Rep. Philip Cortez.